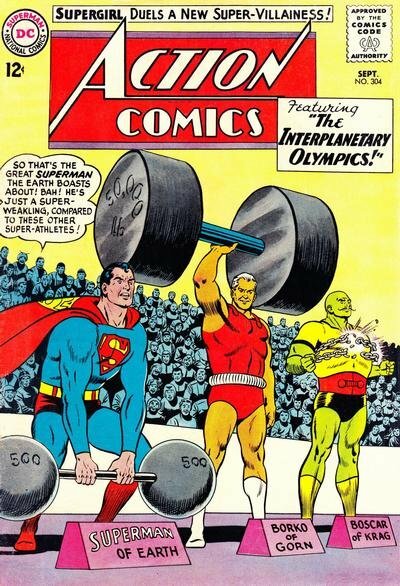 Check out this very nice 1963 LARGE ART Silver Age SUPERMAN page, which was penciled by the GREATEST SUPERMAN ART TEAM OF THE 1960's: "Curt Swan and George Klein", from the story titled: "The Interplanetary Olympics!" This nice LARGE ART SILVER AGE page features Superman and Lana Lang in EVERY PANEL, from the story where Superman and Lana are taken to the planet Vorn, where Superman is invited to compete in the Interplanetary Olympics. He loses in all the competitions, and later reveals to Lana that he knew it was all a plot to steal his super-powers, which is why he didn't use them! 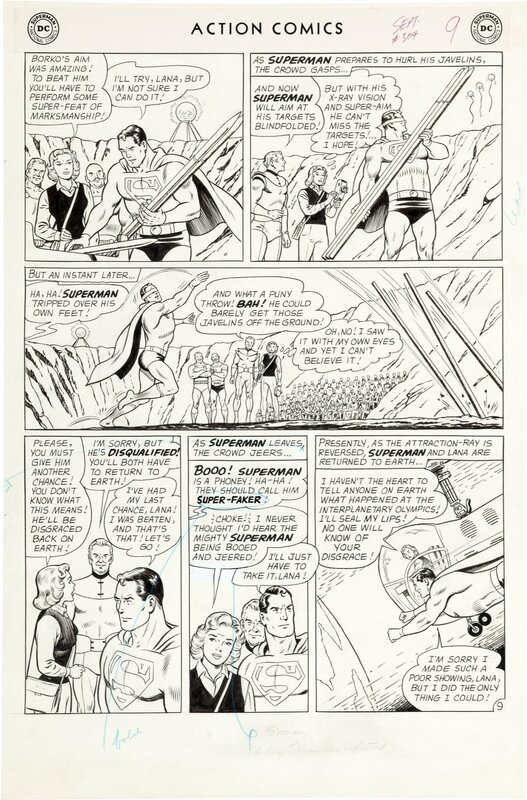 Just a great, "RARE" opportunity here to own a superb SILVER AGE LARGE ART Curt Swan / George Klein SUPERMAN page! Swan's art style defined the Man of Steel from the 1950's all the way into the 1980's. ALL art on our website (including this one) are able to be purchased with VERY fair time payments, and trades are always considered towards "ANY" art on our website! Just send us an email to mikeburkey@aol.com and we can try to work something out.